The Visiano 10-1 is an LED examination light which has been reduced to the essentials but that doesn’t mean sacrificing professional light quality. 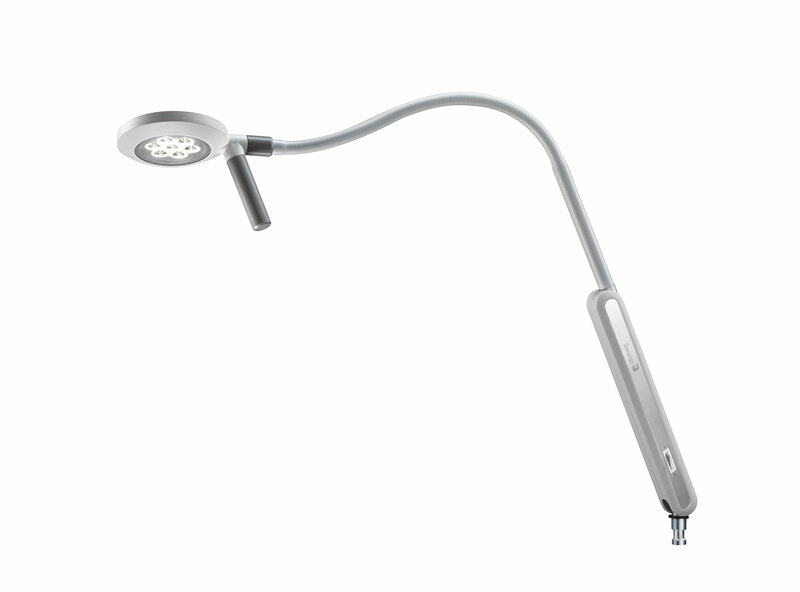 For everyday use, the Visiano 10-1 will win you over with its excellent illumination intensity and large light field. Having a sturdy flexible arm ensures positional accuracy and good durability. The sealed construction protects against contamination. High illumination strength 50’000 lx / 0.5 m.
Precise colour rendering Ra >93. Professional light quality thanks to unique diamond optics and premium LEDs. 280° rotation of the luminaire head. Slimline design with ergonomic handle. High quality aluminum linkage and durable friction-joints. Complies with the requirements of standards EN 60601-1 and EN 60601-2-41. Visiano 10-1 with Mobile Stand Buy Online! Visiano 10-1 with Wall mount bracket. Buy Online!